"What has my favourite land trust been up to lately" you ask? Well, as usual the work of conservation in our region never stops. We are motoring along with the Black River Wildlands campaign, showcasing talented local artists, have achieved our 2017 goal for the 17% Pledge, and our volunteers are busy as ever. Check out the stories and links below to take part in all that is going on in the beautiful region we call home. 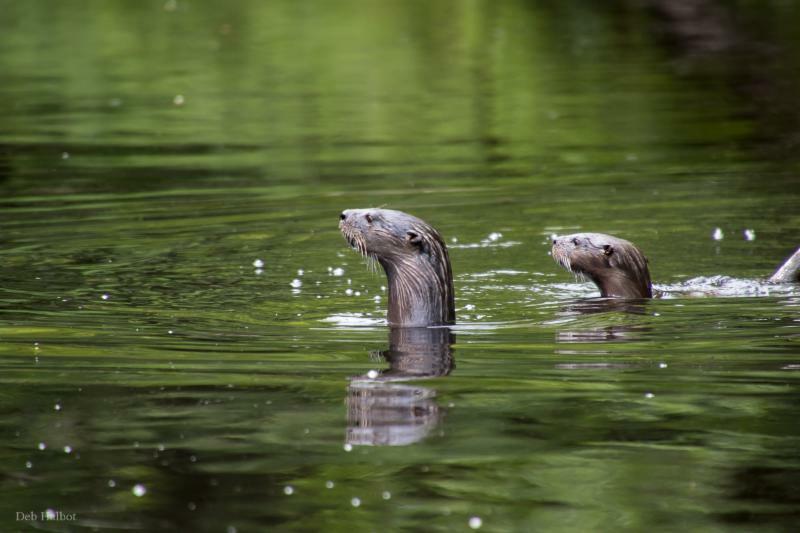 Otters at what could be the Black River Wildlands. Get out there! 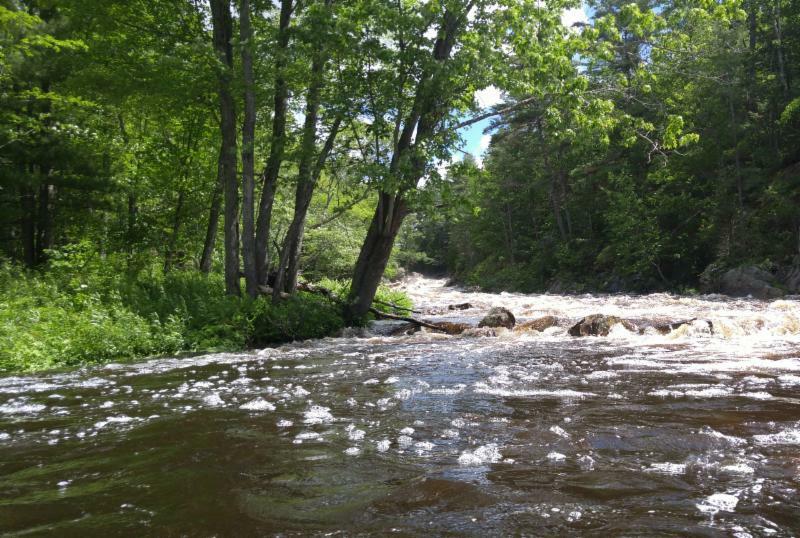 Register now to hike, bike or paddle the Black River Wildlands. The community has been coming together to raise money for our Black River Wildlands campaign. We are more than 78% of the way there and the momentum is growing stronger every day! 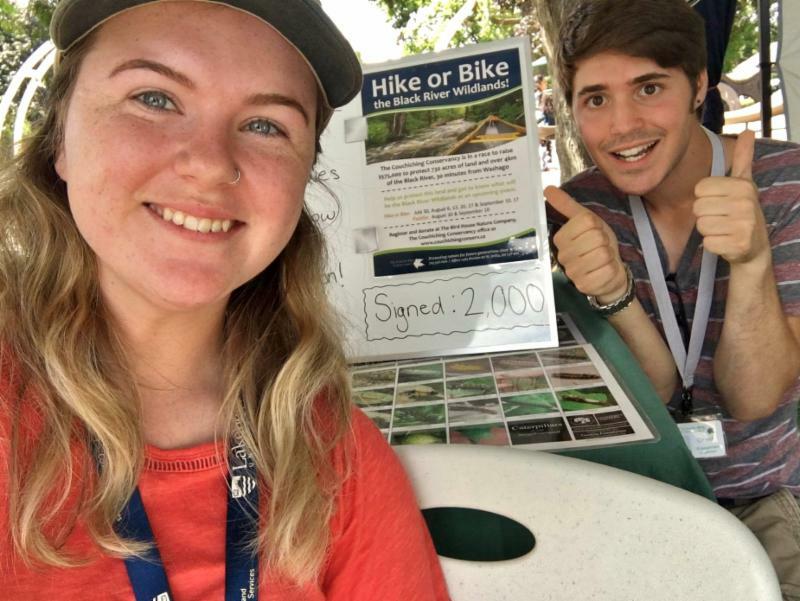 Join the action, see the property and raise funds all at once by donating to participate in a hike, bike or paddle, thanks to Janet Grand and our fantastic volunteers. Great news for the 17% Pledge to Protect Nature! We are celebrating the success of our Volunteer Ambassador Team and Engagement Organizers. They have worked tirelessly to achieve our 2017 goal of getting 2000 signers. If you haven's signed the 17% Pledge to Protect Nature yet, join us! What have volunteers and staff been up to lately to care for the properties under our protection? Read all about it in our Notes from the Field. 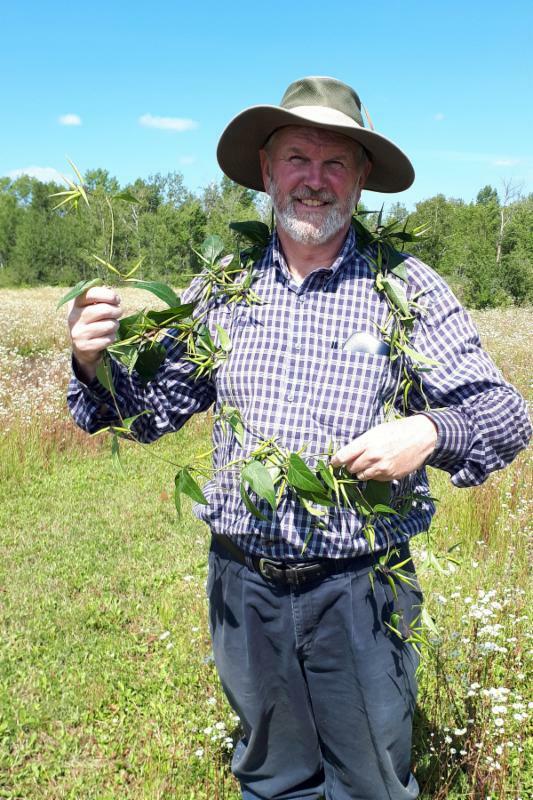 Pictured: Stewardship Program Manager, David Hawke, wreathed with a prize-winning pull of Dog-Strangling Vine. 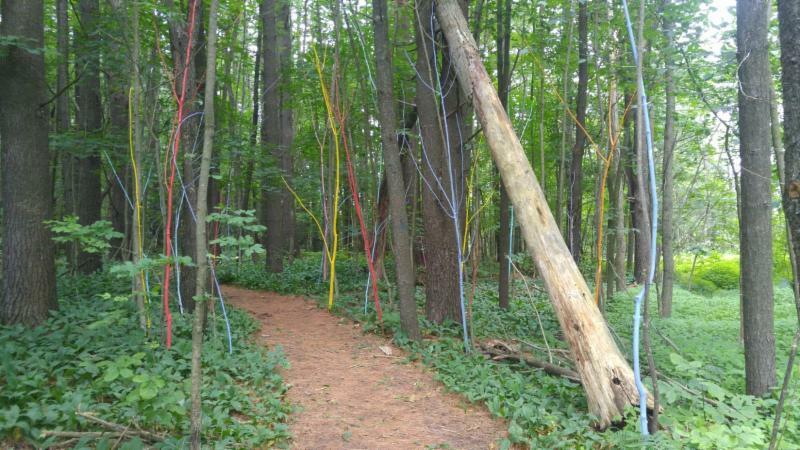 Walk the trails and experience a series of six temporary works of art by professional artists set against the natural beauty of Grant's Woods. Hike along the trails of a beautiful Couchiching Conservancy easement and enjoy seeing the creative process as Plein-air painters and photographers work within the landscape. The next event is Saturday September 16th, 1:00pm-3:00pm at the Wilkins Easement. Until October, art instructors will be welcoming people of all ages to explore nature and create a small take-home art project. The Black River Wildlands will be the largest property owned by The Couchiching Conservancy. The property is home to multiple species at risk including Golden-winged Warbler, Canada Warbler, Blanding's Turtle, Snapping Turtle, Five-Lined Skink and the Eastern Hog-nosed Snake. If protected there is the possibility to extend the Ganaraska trail system through the property. The tea-coloured stain of the river water is derived from tannins in the vegetation of boggy wetlands, which are common in the headwaters of the Black River.